PhilSpeaks | pouring my heart out! Read more "NAIJA DON ENTER ONE CHANCE"
Read more "SIGNS a GUY WILL BE RICH"
Read more "Seun 4 Buhari"
For some days now I have been blaming the weather for my congested nose and extra effort to breathe. Now I can’t sleep or wake up without consciously keeping warm. I am talking about drinking hot tea in the morning alongside ordinary water and ensuring I sleep with as many heavy clothing and a blanket over my head. I even made as part of my new year resolution never to take chilled drinks! haha! 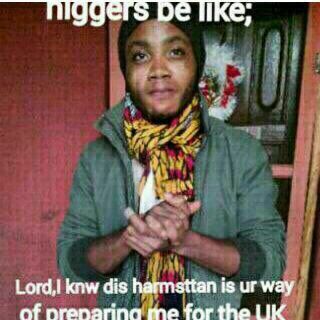 The koko is that this years harmattan is extreme mehn. The common thing now is to see peeps with jackets, cardigan, head warmer, mufflers and hose. Then ladies will be justified to wear leggings now. I read somewhere that its important not to allow exposure to the weather so it is for your good to always dress warm. Also fruits like oranges, carrot, pineapple should be taken everyday if possible. We should ensure to drink water once you feel thirsty to naturally clear the nasal blablabla. I pity for those that soo annoyingly say they don’t like fish, you need it for now oo. Then ladies and mommies please cook ewedu, efor and all the vegetable soups you know for the whole house oo, Ejoor oo. Garlic should be an added spice in stew. For the men that do their thing at the booka, ask for any available vegetable soup oo. We can also give ourselves a spoil treat by relaxing with any yoghurt or orange juice of your choice. Consuming all these will make our body stand kakaraka against all the catarrh, cough, cold and watery eyes that come with the weather. Well, if harmattan can come and go and you no shake body, then nothing do you when you enter snow for yankee! Hahaha!